Now that an agreement has been reached on Iran’s nuclear program, economic sanctions against the country should be lifted soon. This could give tourism a new boost. 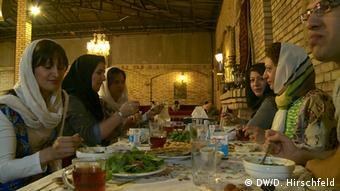 DW's Dan Hischfeld shares his experience in Tehran. "What, you’re going to Iran? Are you crazy?" That’s how my friends reacted to my plan to go to Tehran for a week. 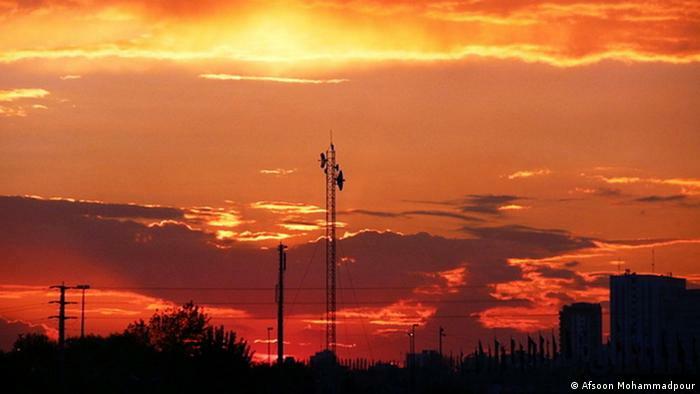 For 13 years, the country and its 75 million inhabitants have been internationally isolated. There is a lot of ignorance and a lot of prejudice as well. If you have the abbreviation "IKA" on your flight ticket, you will be landing at the relatively new Imam Khomeini Airport in the 15-million metropolis of Tehran. The taxi ride to the center takes about an hour. The first thing you notice is that something is missing. Even the rush-hour traffic lacks the chaos that we know from Arab countries and from mega-cities such as Bangkok or Mumbai. No weaving cars or pedestrians risking their lives to get to the other side of the street. Everything seems somehow European. On the way to the hotel, I noticed how many young people there were here. Most of the population is under 30. They are not afraid of contact with strangers and welcomed me, the visitor from the West, with an openness and friendliness that would surprise even a well-traveled globetrotter. Strangers on the street invited me for tea. Someone offered me his mobile phone - me, a foreigner who had obviously got lost - so I could call my hotel. He even rang an acquaintance that spoke a smattering of English and might have been able to help me. 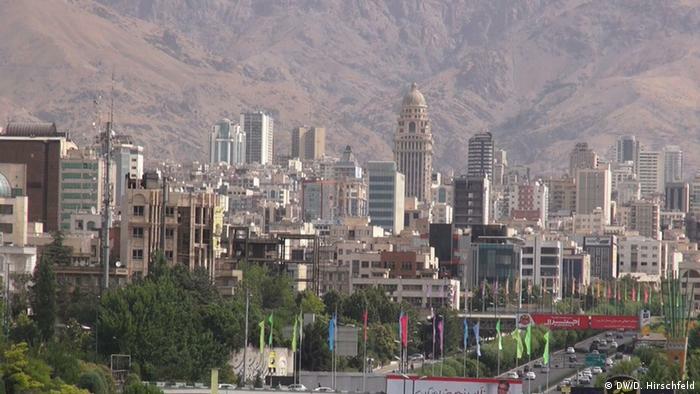 Tehran is a modern metropolis where I quickly felt at home. There is a well-developed public transport system. Buses run to all corners of the city and a subway was built a few years ago. But I soon noticed I was in an Islamic country too. The subway carriages are divided by glass doors into male and female compartments - and of course I got in the wrong side! No problem, I just switched to the men's section. But another passenger told me that hardly anyone paid attention to the segregation of the sexes in the metro anyway and that nobody got upset when someone sat in the "wrong" place. In fact, it’s a sort of protest. There’s also a measure of public protest as far as Islamic dress code is concerned. 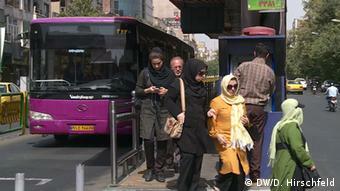 In public, women in Iran have to wear the "hijab," a kind of headscarf, or the black "chador," which covers the entire body - only the face is left exposed. But I saw only a few women all dressed in black. And even the headscarf, which is supposed to cover the entire hair, tends to be worn in the capital as a scarf. If the religious police show up, then they say the wind has just blown it down. After a day in the city, I usually got back to the hotel completely exhausted. Speaking of which, there’s plenty of accommodation, at least in Tehran. From backpacker hostels to five-star hotels - and friends with experience in Iran had warned me about the main snag: paying. Because of the sanctions, Iran was cut off from the international financial system, and foreign credit cards don’t work yet. You need enough cash.. But everyone I spoke to hoped this would soon become a thing of the past after the agreement with the West. People have high hopes for the end of sanctions. They told me they want to open their own businesses when the economy improves. All share the desire for a better life. Unemployment is still high and many well-educated young people cannot find a job. 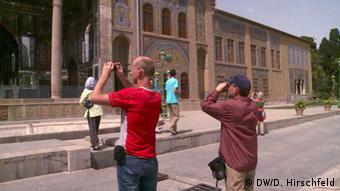 After all, the number of tourists visiting Iran has doubled within a year. And this country, where I encountered forests, deserts, beaches and high mountains, is just waiting to be discovered. In Tehran, for example, I took a cable car to more than 4,000 meters above sea level and experienced what climbers call "altitude sickness." In any case, a week was far too short. For this country, you have to take your time. Or maybe just come back.